Update: Things have changed, and Google Shopping Express is now delivering seven items. The Nexus 10 has jumped up to 32GB, and it's joined by four cases for the Nexus 7. Google Shopping Express is a same-day delivery service that's only available in the area from San Francisco to San Jose. Do you feel that, Americans? That sensation is what our international readers experience nearly every time we mention a new Google service. Let it sink in. 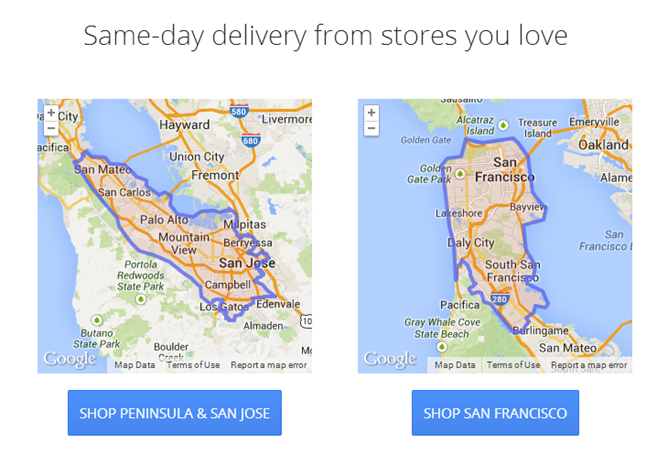 As for those of you who do live in San Francisco, Google will now deliver products directly from the Play Store. However, the selection's pretty scarce for the time being. 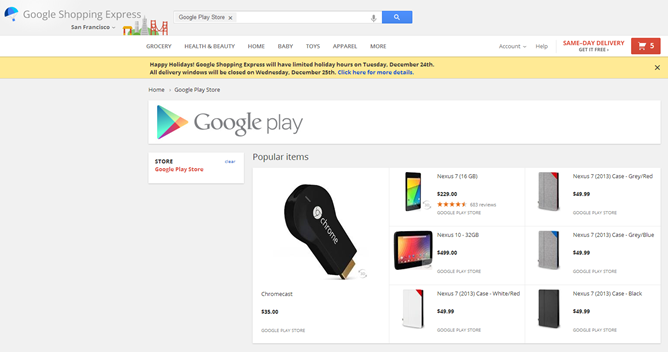 You can have your choice of a Chromecast, a 16GB 2013 Nexus 7, or a 16GB Nexus 10. That's it. You can't opt for a larger size or a model that can access cellular data. For those options, you have to wait a few extra days like the rest of us. 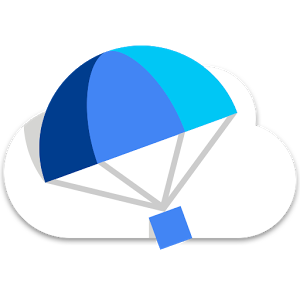 Google Shopping Express purchases made up until 5pm PST on December 24th will be delivered in time for Christmas, so at the very least, it's a last minute way to pick up a gift for that techie brother-in-law showing up this year that you forgot about.